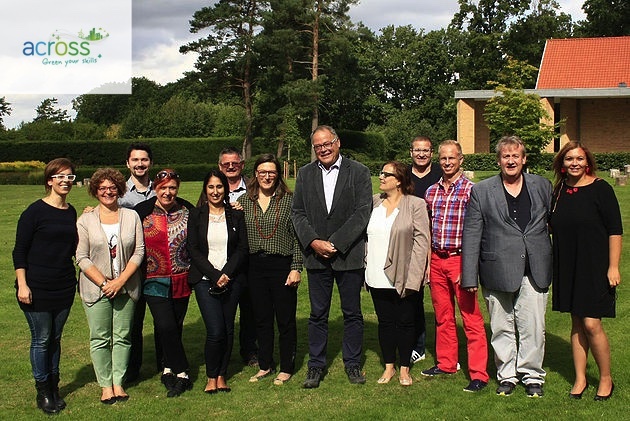 How can VET and labour market actors contribute to a sustainable, “green” economy driven by the need to better preserve and protect both the social-economic well-being of our societies and the natural resources of our planet? How can they cater solutions to workers, students and companies and equip them with the necessary skills and capacities to undergo greening processes? These the main questions that prompted the ACROSS strategic partnership to deal with these challenges. Rather than a sector per se, ACROSS looks at the transformation of jobs into “green jobs” as a cross-sectorial overhaul of traditional jobs in transforming/ restructuring sectors and the development of innovative, technology- and efficiency-driven new jobs also in traditional sectors. We focus on two main tenets: sustainable development in the so-called green economies and the appraising of transversal skills as portable skills in times of high unemployment and restructuring. ​The test and evaluation of the framework solidity and the effectiveness of the tools developed. Networking and sharing at local, national and EU level is our strategy for buy-in at different levels, by convening and sharing the results of the project and to promote its approach to key stakeholders.